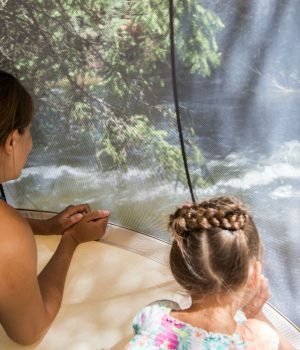 The Pods are a retreat that blend together features of hammocks, hanging chairs, tree tents and also a floating glamping tent, offering a perfect space to relax while suspended off the ground. 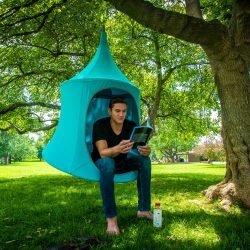 The original TreePod, an instant treehouse geared toward kids, launched via a successful Kickstarter in 2015. 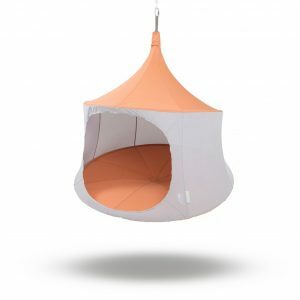 TreePod has since evolved to offer additional sophisticated designs for use outdoors as well as in the home, with a variety of models to accommodate all ages. 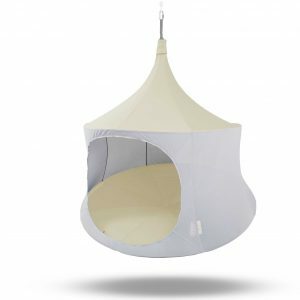 Relax easily and relax often. 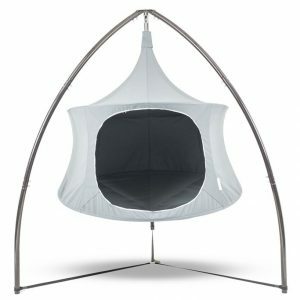 The new TreePod Lounger & Cabana have been designed to be your ultimate hanging relaxation escape. 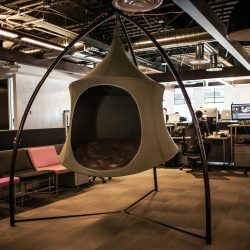 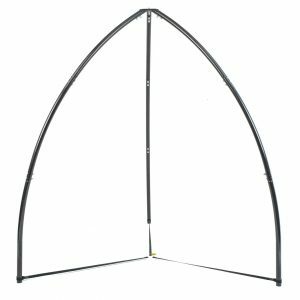 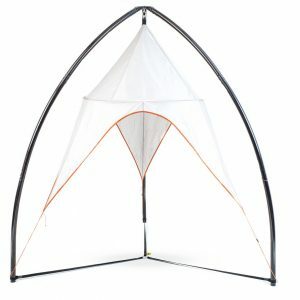 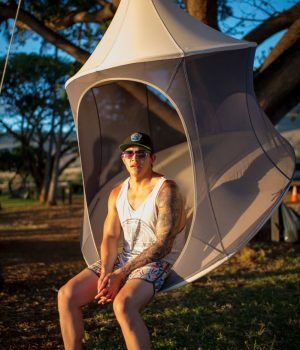 With only one hanging point and diameters of 4 foot (1.2m), 5 foot (1.5m) or 6 foot (1.8m), TreePod takes the evolution of hammocks to an entirely new level. 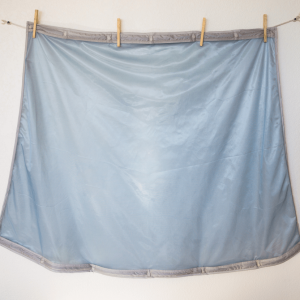 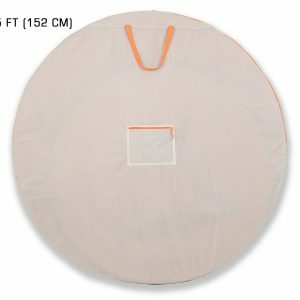 Initially only the 6 foot (1.8m) in selected colours will be available. 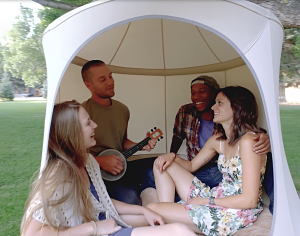 Whether you’re planning a weekend trip away or looking to escape everyday life on your own back porch, our newest TreePods will give you the comfort of a luxurious bungalow, along with the phenomenal floating experience of hammocks. 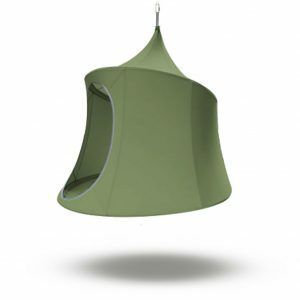 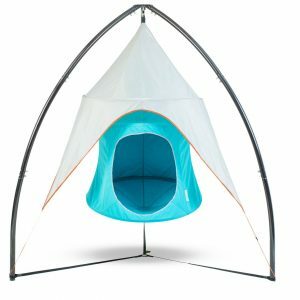 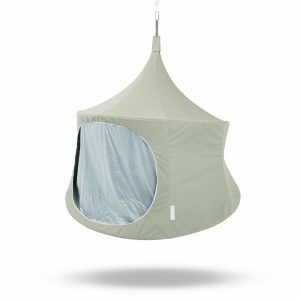 For every TreePod sold, Hanging Habitats – the inventor of this hanging tent / adults treehouse, donates a portion of profits to Trees for the Future. 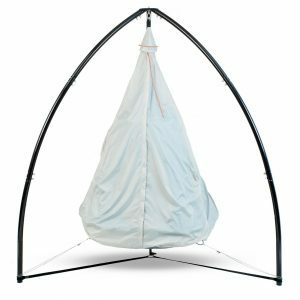 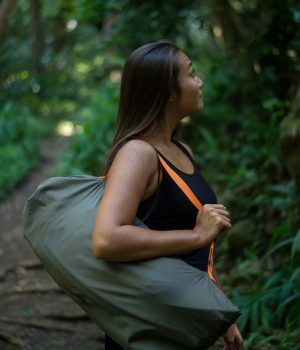 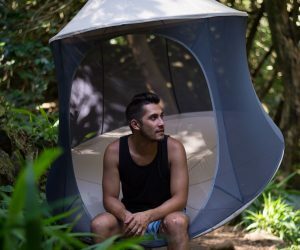 Check out the TreePod, Cabana & Lounger – spacious hanging tent/floating glamping tent, is a revolutionary range available exclusively in New Zealand through Lifestyle Gear. 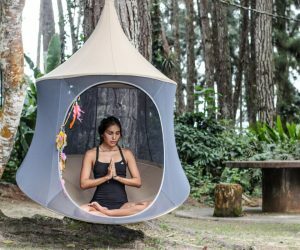 The Treepod Cabana & Lounger – spacious hanging retreat range will be available exclusively in New Zealand through Lifestyle Gear. 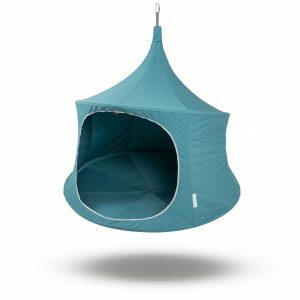 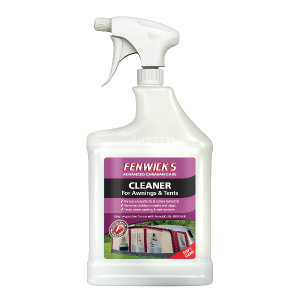 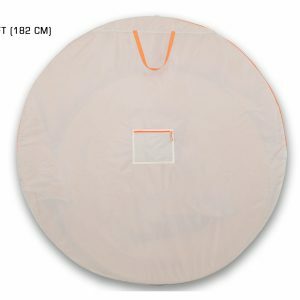 The range of this new to market product is limited initially, but we will be stocking all sizes and accessories as they become available.